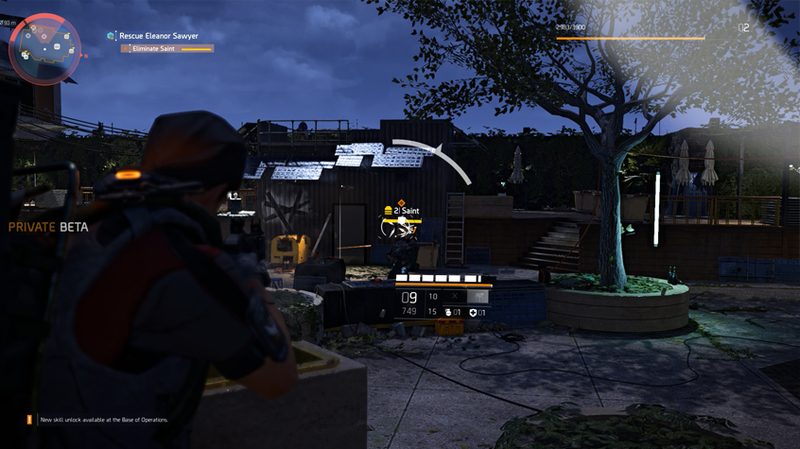 Firstly, The Division 2 looks and handles exactly as we would expect. Leo, our big boss, described the transition from The Division 1 to 2 as around the same lines as the move from Destiny 1 to 2. That’s about right with how I feel, though The Division 2 developers have clearly taken a good amount of feedback from the first game and put it into practice. The visuals are more or less the same, as we expected because it’s running on more or less the same engine. I’m not sure if things like the lighting engine are complete, however, as I felt the game seemed to lack a sense of spectacle that we often had in its predecessor. It also runs a fair bit worse, unfortunately. My fairly beefy rig ran the first game at max settings completely without a hitch, but there is clearly some optimizing that needs doing on its bigger brother. The gameplay is almost identical to the first game, too. In fact, one of the major things I took from the beta is that it feels like more of The Division 1. Whether that is a good thing or not is up for debate. 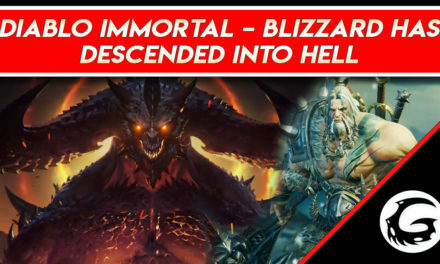 I do know that if you liked the first game, you’ll be immediately at home with its sequel. It shows a good foundation of fundamentals that we recognize and enjoy, with some new twists thrown in here and there. 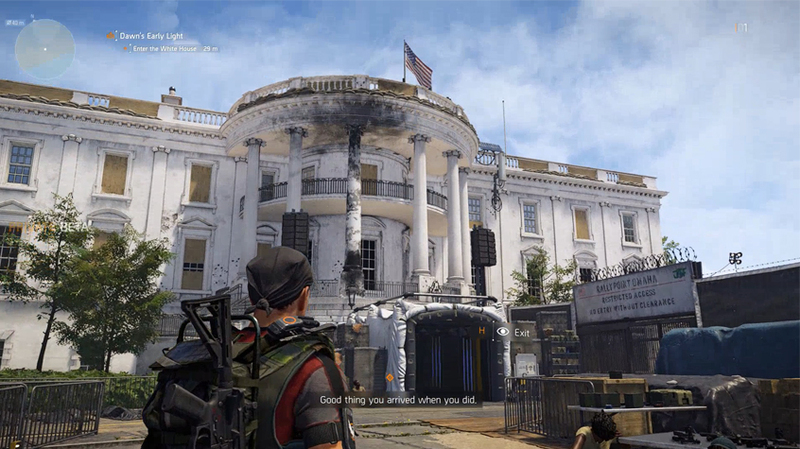 You’ll see stunning Washington D.C. landmarks in the Division 2. Unfortunately, I didn’t feel that those twists provided much of a ‘sequel’ feel, however. The game feels like it could have been the ‘Washington D.C. DLC’ for The Division 1, honestly. The change of location is nice, as are the variety of new landmarks, but you’ll feel more or less the same as you did wandering the streets of New York. Some frustrations with the cover system still persist, too. Admittedly, these are probably things that will only bother newer players or those who didn’t play very much of the first game, but they are there nonetheless. While the cover system remains intelligent and reliable when you know what you’re doing, a wrong button-press in a panicked moment can see you almost instantly dead. 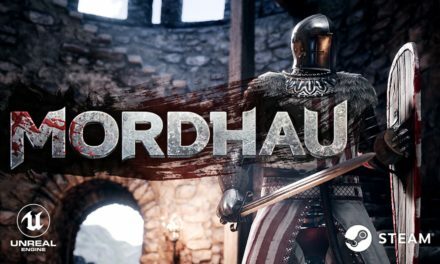 There are also a fair few technical problems, including visual glitches, strange enemy AI behavior, weird server and gameplay errors, and more. I can imagine that most of those issues will be ironed out by the time the game launches, however – we can fall back on the age-old excuse that The Division 2 is ‘still only in beta’, and hope for improvements before launch. The all new bosses are covered in layered armour. There are, it must be said, some genuinely real improvements that are making a difference. My favorite is the new Strongholds system, which seems like it has a huge amount more depth than the system from the first game. By gradually completing Side Missions and donating resources to the cause, you’ll be able to see these Strongholds gradually improve. New areas, vendors, and resources will be unlocked, as well as new loot and crafting options. These are great things to work on while grinding and leveling, and should really help to feel like you’re making more progress in the game’s wider atmosphere than simply leveling and improving the main areas’ three zones in The Division 1. Other changes to the skill and perk systems mean that you’ll have a whole lot more choice when leveling up, and might even want to spec into certain ‘builds’ in order to get where you want as quickly as possible. My first perk, for example, was one that rewarded me with bonus XP for getting headshots. Being the sharpshooter that I am (not really), hopefully that means I can get to leveling up quickly. There’s a ton more skills and perks to choose from than the first game, so it’ll be fun to see what people come up with. 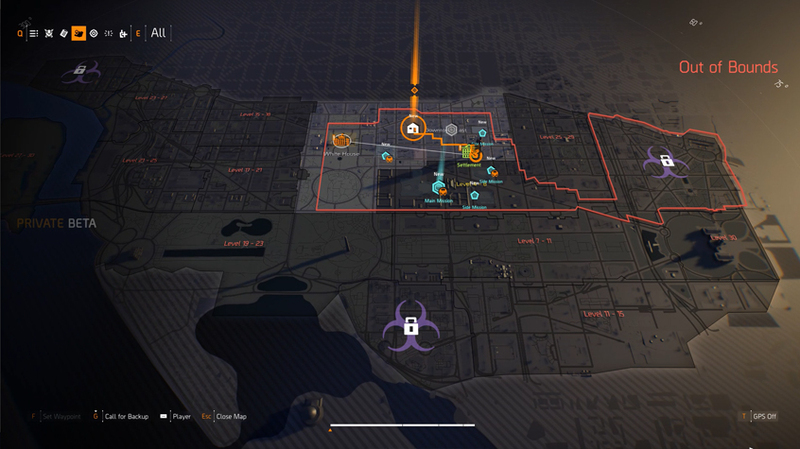 The Division 2 has an even larger map for you to play around in. There are a couple more areas to try out in The Division 2 beta, including the new PvP Skirmish map and the all-new Dark Zone East. Both show a lot of promise, with good quality of life changes. In particular, I can see myself spending a lot more time in the Dark Zones in The Division 2, where things like spawn-protection and proper Rogue notifications are helping to keep the experience fair. There are a couple of unusual interactions with going Rogue, but again I’m sure those things can be ironed out in time for launch. The second portion of the beta also enabled players to try a level 30 character out, including choosing one of the new Specialist classes. 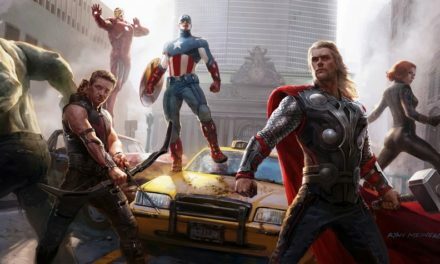 There are three to choose from, each with a different approach to combat, their own special weapon, and a suite of abilities. These things hint towards a broader endgame for The Division 2, one with a larger variety of viable builds. I’m a sucker for build diversity, so that’s a win in my book. So, much like the Anthem demo, The Division 2 beta has left me impressed, but hoping for more. Fingers crossed they might pull a similar trick and release a road-map style plan to let us know what kind of content updates we can look forward to in the future. Overall, the beta was really enjoyable, and the variety of activities is actually incredible. I really enjoyed The Division 1, and even trying a small section of The Division 2’s enormous potential has assured me that it will be an incredible experience. Hopefully, they make the most of the new features and expand upon the systems in-game to keep The Division 2 feeling fresh. Otherwise, it might find itself struggling to keep up with its tough competition. That’s it for today’s coverage on Tom Clancy’s The Division 2 private beta. 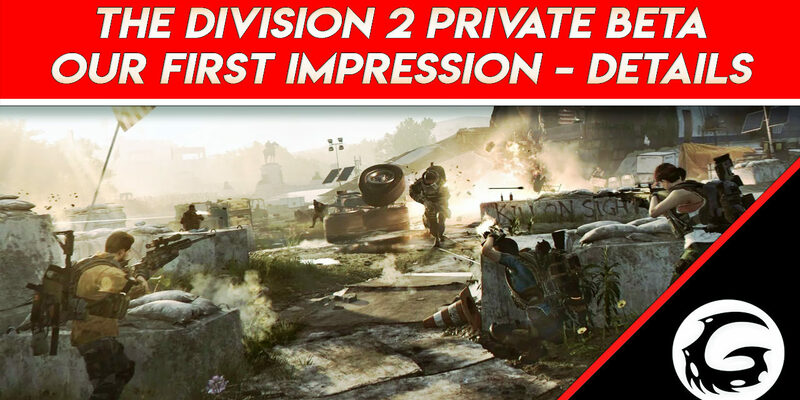 Let me know in the comments section below if you had a chance to play, and if so, what your favorite part was, or just what excited you most about The Division 2. Thanks for stopping by. I’m FaultyOptics and I’ll see you next time for more gaming guides and news.